Yogi Bear's Jellystone Park Camp-Resorts in 2018 once again set a new all-time record for sales. System-wide revenues increased 6.1% over the prior year to $125 million. It was the franchise company’s 10th consecutive year of sales growth. Growth was primarily driven by existing locations as same park revenues increased 5.7%. Yogi Bear’s Jellystone Park Camp-Resorts was recently named one of the Top 200 franchises in the United States by Franchise Business Review. 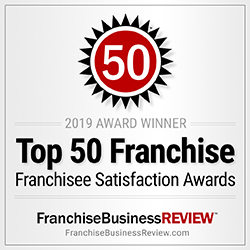 The 2019 ranking is the organization’s 14th annual ranking of the nation’s top franchise opportunities. Yogi Bear’s Jellystone Park Camp-Resorts was one of more than 300 franchise brands, representing over 30,000 franchise owners, that participated in Franchise Business Review’s research. 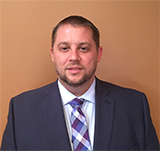 Jellystone Park franchisees were surveyed about their experiences and their satisfaction regarding critical areas of the Jellystone Park system, including training and support, operations, franchisor/franchisee relations, and financial opportunity. Yogi Bear’s Jellystone Park Camp-Resorts, was recently ranked No. 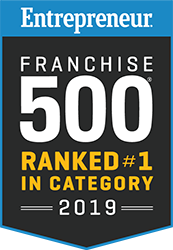 202 in Entrepreneur magazine’s 2019 Franchise 500® rankings for its outstanding performance in areas including unit growth, financial strength and stability, and brand power. The Jellystone Park No. 202 ranking is an improvement of 63 slots over its prior year performance and is one of the ten largest two-year rankings jumps among all companies included in the 2017 ranking. 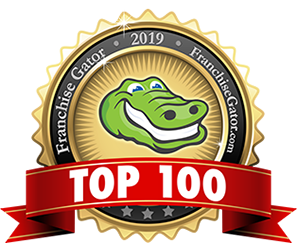 2019 is the third consecutive year in which Jellystone Park Camp-Resorts have been ranked as the top franchise in the Campgrounds category. Leisure Systems Inc. (LSI) presented its annual awards to exemplary Yogi Bear’s Jellystone Park Camp-Resort franchisees throughout the U.S. and Canada. The awards were issued on the final day of LSI’s annual symposium at the Northern Kentucky Convention Center in Covington, Ky.
Yogi Bear's Jellystone Park Camp-Resorts 2018 sales continued to surge in the third quarter with another double-digit same-park sales increase. Sales at the nation’s second-largest franchise campground network were up 18.8 percent for the quarter ending September 30. This follows a second quarter 11.9 percent jump and a first quarter 23.5 percent increase. Jellystone Park expects 2018 will be its 10th consecutive year of sales growth. 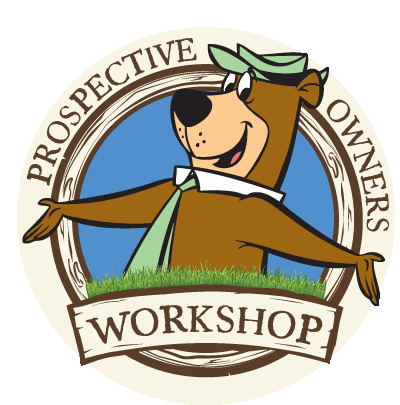 Leisure Systems, Inc. (LSI) has scheduled a Prospective Owners Workshop on Sunday, Nov. 4 in Covington, Ky. to give aspiring Jellystone Park owners the opportunity to also attend LSI’s annual Symposium, which starts Monday, Nov. 5. “We selected this specific date and location because it immediately precedes our 2018 Symposium, which provides prospective franchisees with an opportunity to gather in-depth information while also meeting and networking with Jellystone Park operators across North America,” said Jim Westover, LSI’s vice president of product development and sales. Adirondacks Jellystone Park is inviting the public to visit the campground and participate in its fundraising activities for breast cancer research and treatment from 9 a.m. to 7 p.m. on Saturday, September 1. Members of the public are invited to visit the campground and join Jellystone Park campers in a variety of relay games, a bubble party for kids, a silent auction, and a 50-50 raffle in which half of the proceeds will be awarded to the person who purchases the winning ticket.Other raffles will also be held for prizes ranging from Boston sports memorabilia such as signed Johnny Bench baseball cards to tickets to the September 15 football game between Syracuse University and Florida State University. A separate raffle will also be held for a two-night stay at a Holiday Inn. Jellystone Parks To Offer A Prospective Owners Workshop, Sept. 15-16 In Tabor City, N.C.
Northgate Resorts will reopen the former Girl Scout camp in Golden Valley as a Yogi Bear’s Jellystone Park Camp-Resort on Wednesday, Aug. 1. “We’re very excited to reopen this beautiful campground at the base of the Blue Ridge Mountains as a Jellystone Park Camp-Resort,” said Zachary Bossenbroek, CEO of Grand Rapids, Mich.-based Northgate Resorts. “The park will initially be open for cabin and tent rentals, though we will have other camping options available, including glamping tents, later this year. We’ll be adding RV sites for our 2019 camping season. Families will be able to enjoy numerous activities as soon as the park opens, including a jumping pillow and jumping pad; canoeing and kayaking; swimming in the lake; outdoor movies, playground; scavenger hunts, volleyball, basketball, hiking trails, horseshoes, arts & crafts, Gaga ball, gem-mining, “Hey Hey” Wagon Rides, Candy Bar Bingo, and dance parties. Yogi Bear’s Jellystone Parks across eastern Canada will be celebrating Canada Day with patriotic bike parades, campsite decorating, Maple Leaf face painting and other activities. But the family friendly campground network has many more activities and themed weekends planned throughout the summer months, including chocolate themed weeks and weekends, pet themed weekends, and weekends with Christmas and Halloween themed activities. “Our Canadian campgrounds offer everything from chocolate Slip N Slides to Christmas in July festivities with Yuletide Karaoke contests to pre-Halloween themed weekends that start in August with campsite decorating contests and trick or treating,” said Kelly Jones, vice president of operations for Milford, Ohio-based Leisure Systems Inc., which franchises Jellystone Parks across Canada and the United States.